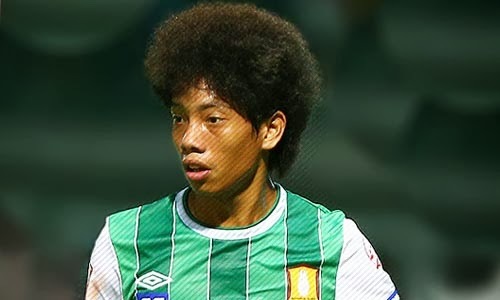 Thanasit Siriphala, or Taodinho as is called by Thais supporters for his resemblance to Ronaldinho, is the best talent of all Thais football movment. He is incredibly fast and quick, gifted by a great ball control that helps him in the short spaces. He is a pure dribbler, able to overcome the opponents in different ways. He has an accurate right foot that he uses mostly for serve assists. He preferably starts on the Left, where he can drive the ball, with his right foot, to the hot zone of the pitch. He is able in the movments without the ball, always looking for a dangerous position.